Bradley Beal’s pursuit of an All-NBA selection remains on track. Washington is set to miss the playoffs for the first time since the 2015-2016 season. However, the two-time All-Star continues performing exceptionally well, giving everything he’s got each night his team takes the floor. Following a 106-124 loss in Los Angeles to the Lakers on Monday, the Wizards (30-45) sit seven games out of the final playoff spot in the Eastern Conference with seven games remaining in the regular season schedule. Despite not being able to contend this season, Brad and the team still have plenty of work to do as they regroup for next season. The best way to do that is to finish the current season on a high note, building momentum going into the offseason and next season. 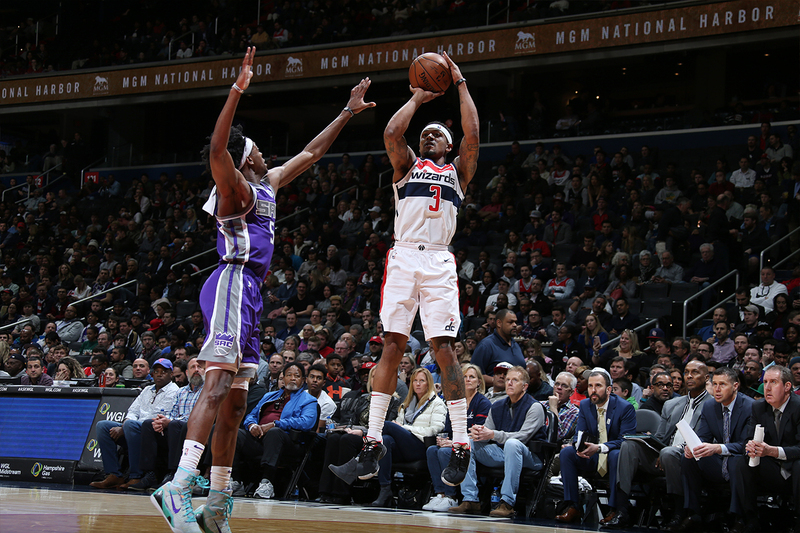 Playing in a nationally televised game, Beal registered a game-high 32 points (10-for-19 FG), along with five rebounds and two assists. The former Gator’s production has gone relatively unnoticed throughout the year and as the season draws closer to an end, pundits around the league are beginning to debate who will earn one of the six coveted guard spots available in the All-NBA rosters. James Harden, Stephen Curry, Damian Lillard, Kemba Walker, Kyrie Irving, Russell Westbrook, Klay Thompson and Devin Booker, along with Beal, appear to be the likely candidates to be recognized at season’s end. Beal’s numbers compare favorably to MVP frontrunner James Harden and the league’s third leading scorer Steph Curry who appear to be locks for All-NBA selections. Panda is just one of six players in the NBA averaging at least 25 points, five rebounds and five assists. The other five are Lebron James, Giannis Antetokounmpo, Kevin Durant, Harden and Curry. After his 32-point showing in Staples Center, Beal’s surpassed 20 points for the 62nd time this season, third best in the NBA. 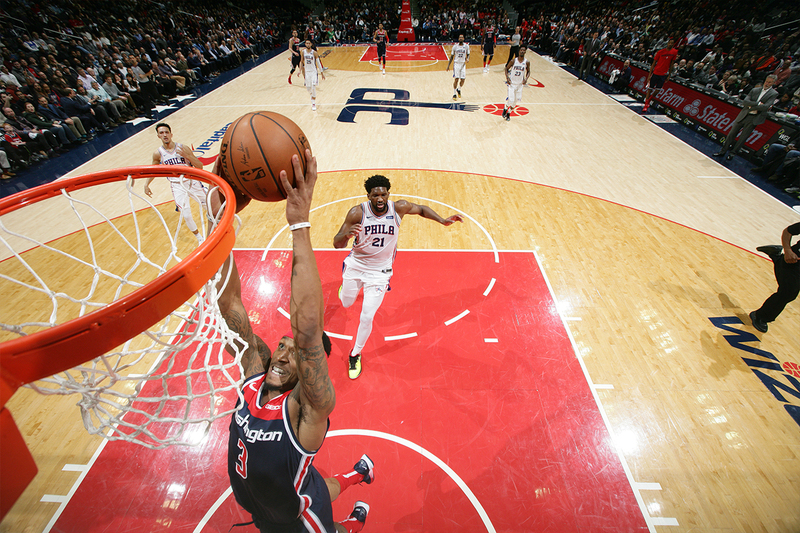 The Wizards suffered season ending injuries to All-Star’s John Wall and Dwight Howard early in the year, but Beal’s play kept Washington competitive and afloat deep into the regular season, albeit short of the ultimate goal of the playoffs. 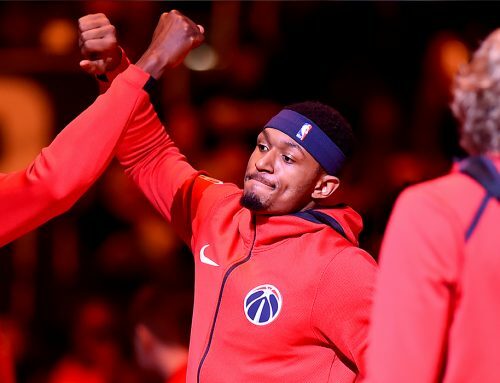 Beal is averaging career highs in minutes (37.6), points (25.9), assists (5.5), rebounds (5.2) and steals (1.5) this season, in which he earned his second consecutive All-Star appearance. Furthermore, his scoring contribution following the All-Star break has increased, averaging 28.6 points per game, fifth best in the league during that span. 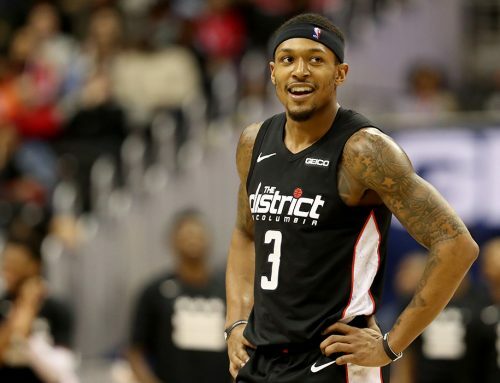 Washington might not make the playoffs, but Bradley Beal deserves recognition. He’s embraced the leadership role, growing in every facet of the game, on and off the court. 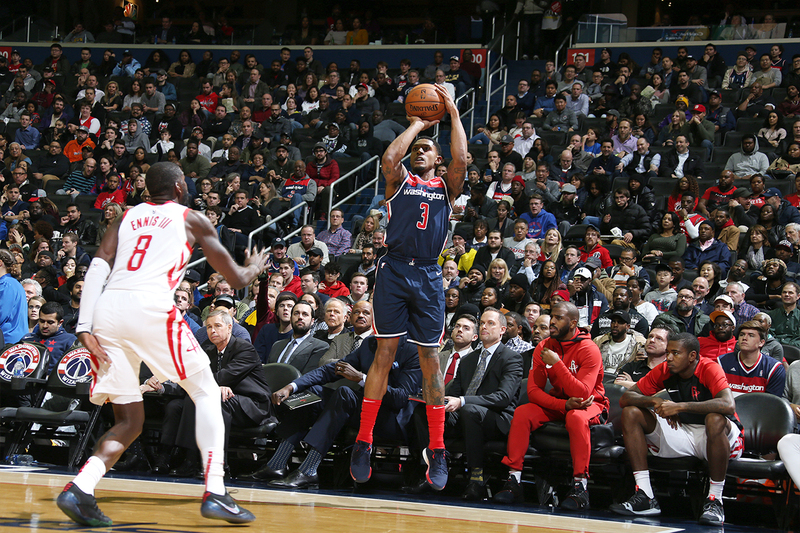 Panda represented the Wizards across the pond in Europe during the 2019 NBA London Game and during All-Star weekend in Charlotte. 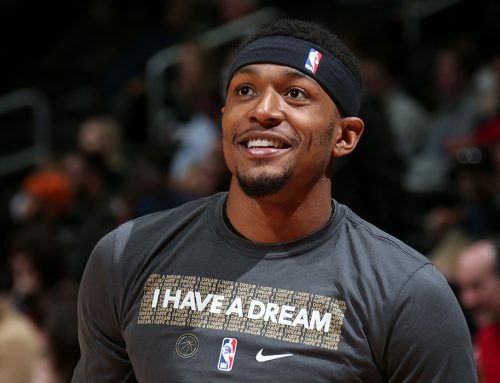 Beal’s game has taken a step forward and deserves recognition at season’s end.